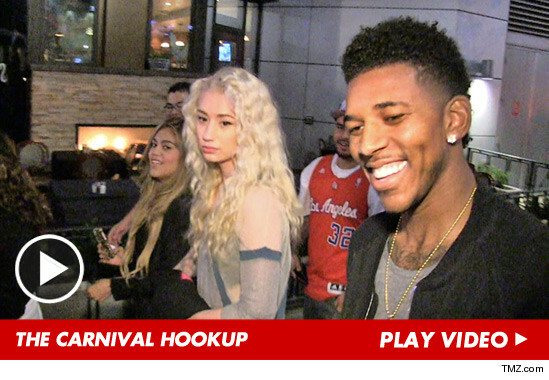 HUGE WIN for Los Angeles Lakers small forward Nick Young last night ... the NBA star finally got himself a date with the woman he's been crushing on for months ... and TMZ Sports has the footage. Young hit up a carnival at L.A. Live Monday night with Iggy Azalea -- a 23-year-old Australian rap phenom who recently signed with T.I. 's record label. Young has been after Iggy for a while -- back in September, he called her out as his crush on WCW (Woman Crush Wednesdays) on Twitter. Iggy tweeted him back and now it seems they're full on dating. 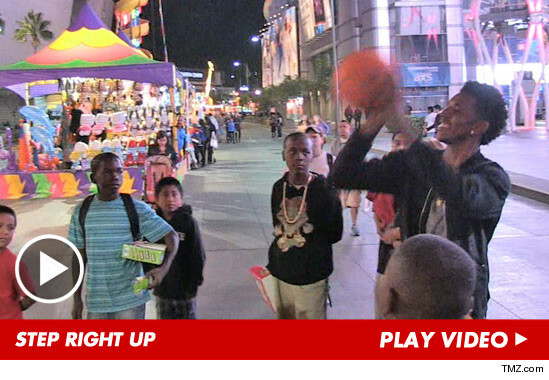 But here's the best part of the night -- we asked Young if NBA stars have an unfair advantage when it comes to the basketball shooting game at carnivals ... and Nick told us he GUARANTEED he would make the shot. Well, turns out there was a shooting game at the carnival ... and Nick decided to put his money where his mouth is. Check out the video to see if Nick came through on his guarantee.